A Family run firm since 1883, Pearts Solicitors believe in sound judgement, in-depth knowledge and a friendly and professional approach, giving you peace of mind to enjoy what is important to you. At Pearts Solicitors, we believe in maintaining lifelong relationships with our clients. Our approach is to get to know our clients and their families, understand their needs, the challenges they face and what they want for the future. We aim to bring you peace of mind, help you enjoy the things that you have worked for and protect those for whom you care. We are a group of legal professionals who believe in providing sound judgment, in-depth knowledge and new solutions through genuine client partnerships. 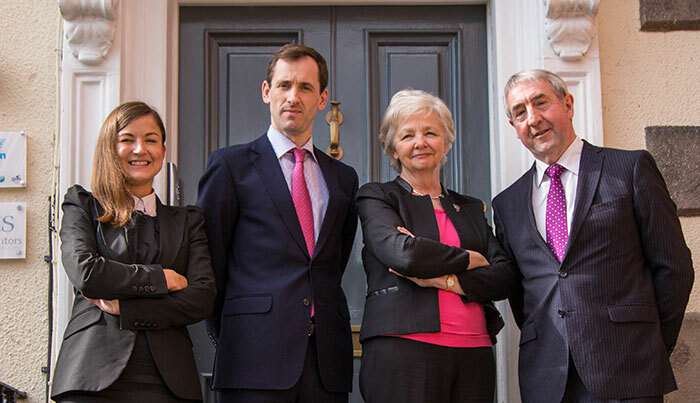 Centrally located on Ormond Quay, Dublin 7 and now in our Branch Office at 177 Lower Rathmines Road, Dublin 6, Pearts Solicitors are staffed by professional, friendly and approachable people who work in a positive manner to provide quality, cost-effective legal solutions for our Clients. As well as being a leading Town Agency Firm, Pearts Solicitors operate a comprehensive Private Client Service, delivering the solution you need, with experience and expertise. To contact Pearts Town Agency at 24/26 Upper Ormond Quay, Dublin 7, Phone 01 872 2311 or see www.peartslaw.ie for more information.